With the 5G revolution approaching, which is poised to speed up your phone and improve your productivity, most people will undoubtedly buy into the hype. This technology is indeed something every average person should consider adopting or get excited about, in the coming years. With marketers sharing all manner of narratives about how 5G is going to transform everything, here are some reasons to keep calm. Irrespective of how much the carriers might encourage users to take up 5G, most of them face serious challenges when it comes to availing it. 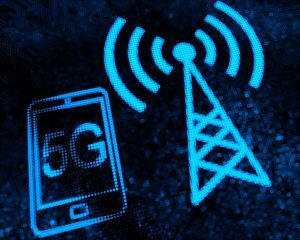 Some technical difficulties are affecting the rollout of 5G networks, one of them being that 5G is a short-range technology. As a result, a 5G tower can only broadcast this network up to a third of a mile away. 5G is an expensive service. Considering that, most smartphone users are not able to cough up extra dollars, the idea of embracing this technology is not practical, at least for now. As such, most service providers might take some time before settling for decent pricing, for these blazing fast internet speeds. For a fact, the vast majority of phones in 2019 do not support 5G. With a small range of 5G-enabled devices popping up and retailing at elevated prices, 2019 is not ideal for most smartphone users to make the switch. As a tip, keep calm and make the switch when the timing is right. All considered, the best way to go is to handle 5G for what it is; a tentative internet connection which is far from hitting its prime. Watch these developments from a distance, and join the wagon as soon as you are convinced that it is here to stay. As it stands, the best thing to do is to play the wait-and-see game.